Looking for a Spring Break Camp in the Twin Cities area? 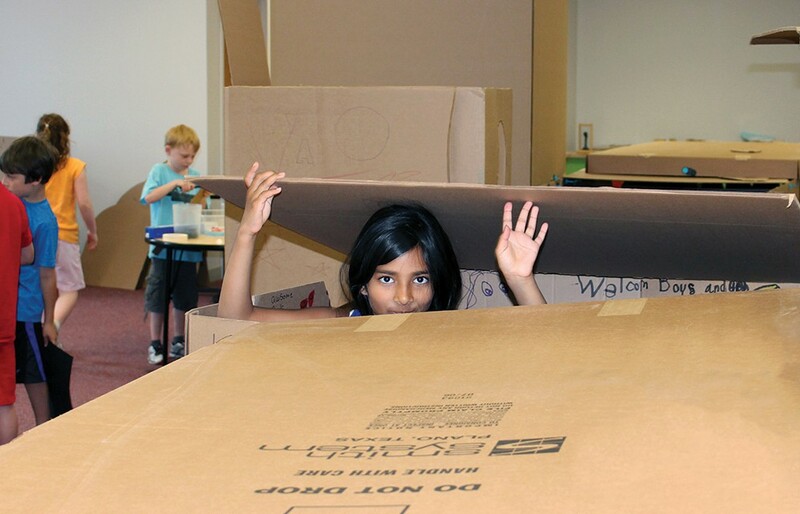 Whether you’re seeking childcare during school release days or simply want to add some structure to your kids’ spring break, The Works Museum can help with our day camps for school-aged kids. Our science and engineering day camps are ideal for kids ages 5-10. With lots of opportunities to design, build, and create – AKA: engineer! – your camper will have a great time and stay busy during your Twin Cities stay-cation. Many camps are offered in half-day or one-day options to give you more flexibility in planning your spring break. Combine AM and PM camps for a full day. Lunch supervision will be provided free of charge. Pickup for a morning camp is from 12:00 to 12:15 p.m. If a child is not picked up by 15 minutes after end of camp, s/he will be enrolled in lunch supervision and a fee of $10 will be charged. Pickup for an afternoon camp is from 4:00-4:15 p.m. for afternoon camp. If a child is not picked up by 15 minutes after end of camp, s/he will be enrolled in aftercare and a fee of $10 will be charged. Our Spring Break Camps have ended for the 2018-2019 School Year. Check back in September, 2019 to see Spring Break camps for next school year. School break camps are for students enrolled in Kindergarten through Grade 5, or equivalent ages for homeschool students. AM and PM camps can be combined for a full day; supervision during lunch is provided. Please send a lunch with your child. Pickup is available from 4:00-4:15 p.m. Aftercare from 4:00-5:00 p.m. is available, $7 per day. All camps take place at The Works Museum: 9740 Grand Ave. S., Bloomington, MN 55420.